I am off to Portugal playing three courses in three days and putting the new TaylorMade R1 through its paces. I’ve been watching the pros smashing this baby stupid distances since its launch and can’t wait to see what it can do for my game. The first thing you notice when you remove the well designed head cover is the dial on the sole which lets you dial in your face angle. Add that to the easy adjustability of the loft and it’s like dialing up your local pizza delivery and placing an order. Could I have a 270-yard drive with a slight right-to-left penetrating ball flight please? No problem sir, let me just adjust this and this for you and there you go! If only golf were that easy, but to be fair to the guys and girls at TaylorMade they really have done that for you – all you need do is get down to your local pro for some lessons and get the swing that can make those dials work for you. Because believe me those dials work. 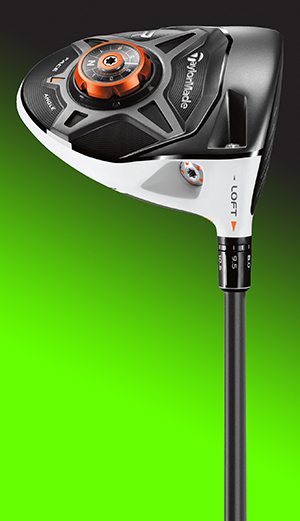 The adjustability on this cat is fantastic – there are seven standard and five upright loft options between 8° and 12° (±2°) to obtain optimal launch angle. Then you have seven face angles which are N/square, open, medium-open, maximum-open, closed, medium-closed, maximum-closed. There are also movable weights that can help you get the shape of shot you are looking for. 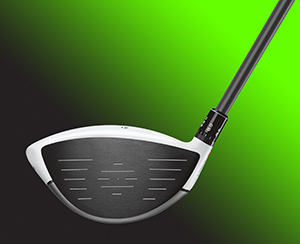 The lower CG location gives you a high launch angle, while the inverted Cone technology, which is milled into the inner side of the clubface, expands to give you increased ball speed at impact – and along with the low spin it imparts onto the ball gives you that all-important added distance. 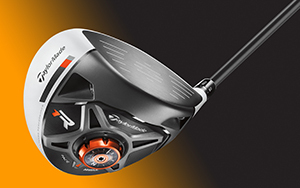 TaylorMade have again improved the aerodynamics of the R1 which produces less drag during the swing and along with the Aldila RIP Phenom 55-gram shaft. This all helps you deliver the clubface faster to the ball and with that increased clubhead speed helps gain you a few extra yards. 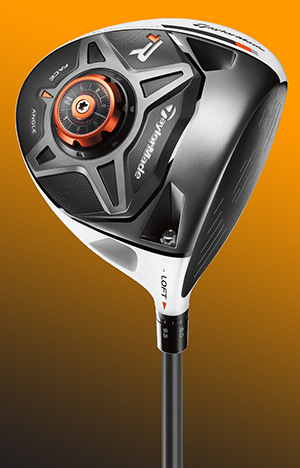 Another gem of a club from TaylorMade and one with which you’ll have hours of fun on the practice ground. The good news about all the adjustability is that it’s easy to understand – a couple of quick twists of the key and it’s done. I’d suggest you spend some time on the practice ground or down the range finding what flight is best for you. But if you want to just go out and have a good time, just leave the face angle in neutral and go and have fun. The R1 is a great club and I think it puts the fun back into the game. If, like me, you know your swing and how it works, this is for you. Sir, your order is ready!